During Black Hat USA 2010, Patrick Thomas presented a new web application fingerprinting tool called Blind Elephant. 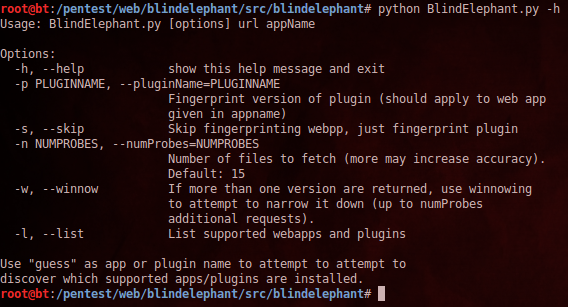 The BlindElephant Web Application Finger-printer attempts to discover the version of a (known) web application by comparing static files at known locations against precomputed hashes for versions of those files in all all available releases. The technique is fast, low-bandwidth, non-invasive, generic, and highly automatically. BlindElephant works via a new trendy technique of fetching static elements of the web app such as .js, .css, and other core files then running a check sum to compare sizes of those files from released versions.